Manchester is home to around 2.5 million people, but many more visit the city on business or for pleasure every year. If you’re planning a visit soon, a hire car can be an extremely versatile and useful way to get around. You’ll be able to get to many more places, for example. Ever been to the Peak District National Park? The edge of the park is only 15 miles from the city. The M60 runs in a loop around the entire city, so you can easily get around the area, not to mention driving off to visit nearby places on the outskirts. Would any of the following destinations make your list? Make the most of your time in Manchester by hiring a car to get you from A to B with ease… and back again. Why use CheapCar in Manchester? 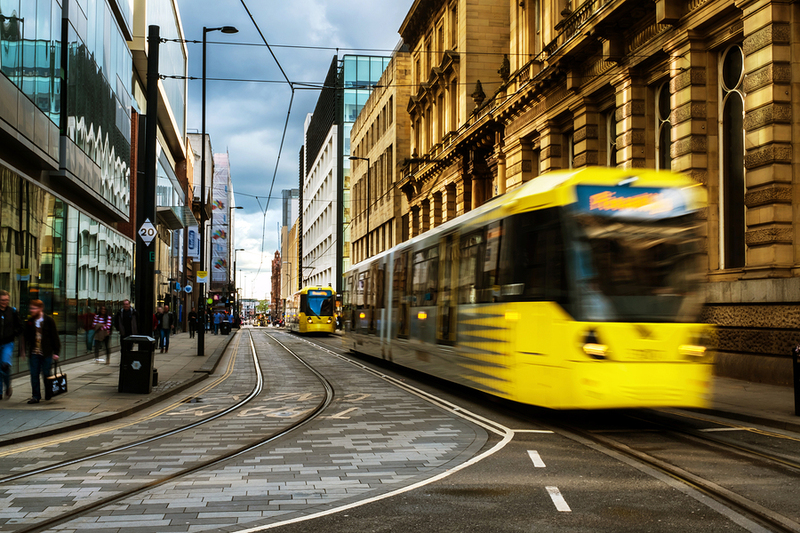 Our service uses the major car rental agencies, offering multiple collection locations throughout Manchester – such as City Centre and Piccadilly. Try us today, and see how much you can save! Europcar operate a limited car hire service from the Manchester Piccadilly car park – giving the most convenient location possible – basically a short minute walk from the train station. Do a quote to check, not all levels of cars are available. Located within the Trafford Park Industrial complex home of Manchester United, Keddy offers a huge choice of cars for hire across all prices from cheap entry level up to exclusive car rentals. The Legoland Discovery Centre: Surely a top destination for kids of all ages… and yes, we do mean adults as well! The ever-popular Lego appears here in this indoor attraction – ideal for rainy days. Visit Miniland, head out on a Ninjago City adventure, and take your seat for Merlin’s Apprentice Ride. Escape from it all at Chorlton Water Park: No rides here, just a tranquil and relaxing place a short distance to the south of the city centre. Make sure the kids get rid of their excess energy in the play area, and wander around the woods to stretch your legs, too. Visit Elizabeth Gaskell’s House: Elizabeth Gaskell was an author who wrote many successful novels, including Cranford, which later went on to become a BBC TV series. Explore the period rooms, the beautiful gardens, and marvel at the fact you’re in the heart of Manchester. Explore the underwater world at Sealife Manchester: There are Sealife sites all around the UK, and one is right here in Manchester. With over two million gallons of water providing a home for the various species in the aquarium, you can come face to face with turtles, rays, sharks, and much else besides. Take some time to shop, too: If you’re keen on parting with some cash, park your hire car in one of the many car parks in the city and explore hundreds of shops that are waiting to be discovered. The Arndale Centre must be one of the most familiar to many, thanks to its glass front and dozens of stores. If it is discounts you want, the Lowry Outlet is the one for you. This outlet mall is packed with bargains, and sits in The Quays area of the city. Be sure to grab something to eat at one of the nearby restaurants while you’re there.